Salvation is what we all long for, when we are lost or in danger or have made a mess of our lives. And salvation belongs to us, when we reach out for the only One who can rescue us--Jesus. The saving message of the Gospel is the heartbeat of this preacher and evangelist. Millions around the world have heard Billy Graham proclaim this unchanging truth. He has never forgotten the transformation of his own life, when he first said yes to God's gift of salvation, and he has witnessed multitudes turn their hearts to the God of Hope. I really liked the layout of this book. Each chapter has stories that relate to real life and then the Biblical aspects on how to live life differently. I love books written like this because it makes more sense to me to compare in real life. He is straight forward with the fact that we make bad choices or things go wrong and that we need to focus on what really matters-salvation. 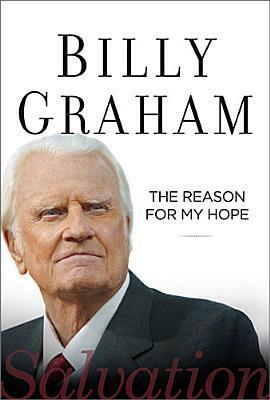 Honestly, I haven't read too many books by Billy Graham but I appreciate his writing. I think this is a good book on the importance of salvation and the reasons why. There were a few slow parts but otherwise a good book.